Georgette Klinger founded an uber-successful line of spas and salons in the 70s and 80s. A celebrity facialist, she had clients like Bette Midler, Candice Bergen, and Hillary Clinton, among a slew of celebrities who would flock to her salons. She eventually built a $20 million beauty empire of spas and her own skincare line. After her death in 2004, however, most of the spas closed and the Georgette Klinger brand seemed to have petered out with its beauty icon. Until 2017, that is! The Georgette Klinger brand is now under the leadership of a former vice-president from Mario Badescu and has relaunched a new range of products designed to effectively treat skin issues with natural plant-based compounds. I didn’t know any of this, of course, until I was offered the chance to test out some of Georgette Klinger’s products several weeks ago. Since I’ve only been obsessed with skincare for the past 5 years or so, Georgette Klinger was never on my radar. However, the more I’ve read about the beauty icon’s skincare philosophy, the more prescient her skincare guidelines sound. Yup, yup, yup, and yup. Hold on, this lady was preaching in 1973 what so many of us are figuring out today? Color me impressed. 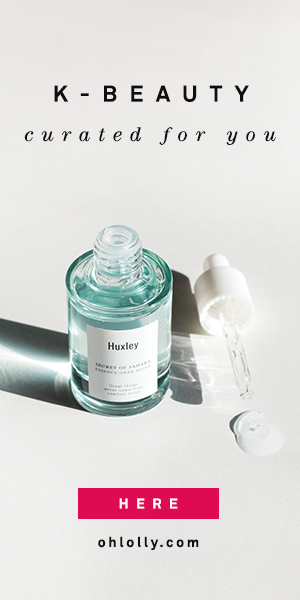 The current products have updated Georgette Klinger’s original formulations, but adhered to her philosophy of using plant-based, nutrient-rich botanicals to treat the skin. The line is cruelty-free and free of parabens and dyes. However, I wouldn’t say it’s a truly green skincare line as it does use synthetic ingredients, so if your goal is to go use purely green beauty products, this might not be the range for you. So how do the products hold up? Read on for my Georgette Klinger review =). These products were gifted to me free to review. All reviews on this site are my honest opinion. The Georgette Klinger Coconut Facial Mist is a hydrating mist that can be sprayed on whenever skin feels dehydrated and needs a refresher. To be honest, the spray nozzle on the bottle isn’t the greatest. It doesn’t depress smoothly, and the mist doesn’t dispense evenly. It’s also not the finest mist spray I’ve ever tried. While I like the ingredients I did find that this mist irritated my eyes a little, but I have notoriously sensitive eyes so it may not be a problem for most other people. While I did think it was pretty hydrating, I didn’t end up reaching for it very much because of the sweet scent, which just isn’t my favorite. It is very reasonably priced though, at just $9. The Georgette Klinger Vitamin C Mask really surprised me. I was at first super excited because I love Vitamin C in skincare, but then slightly disappointed to find out it was a clay mask, because with my dehydrated skin, clay masks are sometimes too drying. But then once I actually tried it, it was really quite different from what I expected, and ended up being my favorite of the three! The Vitamin C Mask has a really soft and smooth consistency for a clay mask. It’s really not gloppy at all, and it dispenses very nicely through a pump. It has a surprisingly slick texture and you can spread it out quite thinly on your face. It’s also surprisingly moisturizing, which I attribute to the oils in the mask — it has both argan and avocado oils. Again, a pretty good ingredients list! True some may have concerns with PEG-8 being high up on the ingredients list, but I think it really helped with the smooth texture. I found that this was very comfortable to wear on my face for the recommended 10-15 minutes. With some clay masks, my skin is uncomfortably tight and dehydrated by the end, but it didn’t feel tight or dry with this mask. My pores did look a little more refined and my skin was calm and matte after I rinsed it off. The Georgette Klinger Vitamin C Mask ended up being my favorite product of the three. I think all clay masks should come in tidy pump bottles! I loved the silky texture and it did a good job without irritating or drying my skin. And finally, the serum. I really wanted to love this serum, but it just didn’t work out. The Georgette Klinger Ceramide serum does indeed contain ceramides (glycosphingolipids) and they’re pretty high up on the ingredients list too. But I just really didn’t like the texture of the serum. It has a very oily, runny consistency, which isn’t necessarily a bad thing, but the problem is that it didn’t absorb. The oily, slick feeling just stayed on top of my skin. It did eventually dry down but it took a LONG time. And looking at the ingredients list, it seems to me that the culprit is the silicones. There are kind of a lot of silicones. The first two ingredients are silicone based compounds, and there are two more silicones within the first 7 ingredients. This explains it! There’s nothing inherently bad about silicones (some of my favorite products use them), and they’re great for forming a protective barrier over the skin, but they do sit on top of the skin. I get why they used them and I’m sure they’re for a good purpose, but I don’t prefer a high proportion of silicones in my serums because they prevent subsequent products (like more serums and creams) from absorbing. I also find that I prefer natural oils and lipids as occlusives, because of the other benefits they confer to my skin. I guess you could use this serum as a facial oil instead, and put it on as your last step, but I didn’t like the slick feeling all over my skin that took a long time to go away. Just because I didn’t prefer it doesn’t mean it won’t work really well for someone else though. Interestingly, their other serum, a retinol serum, has much more preferable ingredients to me, with squalane, shea butter, and rosehip oil, and fewer silicones. I loved learning about the story behind Georgette Klinger, and I think that some of their products are really solid. I loved the Vitamin C Mask, thought the Coconut Mist was fine, and didn’t really care for the Ceramide Serum. So I guess it was a bit of a mixed bag? I think as always, it’s important to look at the ingredients before purchasing. If I’d looked at the ingredients of the serum beforehand, I would have been able to tell that it was not for me (so…that’s on me). Whereas I could tell from first glance at the Vitamin C Mask ingredients that it would be pretty moisturizing due to the oils. Do you always check ingredients before buying a new product? This is my first time hearing of the brand, but wow, I love how ahead of the time they were in terms of their skincare philosophy! I was excited about the coconut mist at first, and while the sweet scent is right up my alley, the rest of it sounds just ok. The Vitamin C mask sounds really interesting though! I would’ve never expected it to be in a clay form or to be packaged with a pump dispenser! Glad to hear it worked out well for you! My mother had $800+ waiting for her in services when Georgette Klinger closed abruptly. Is there anyway to locate the exact amount and use it towards product?